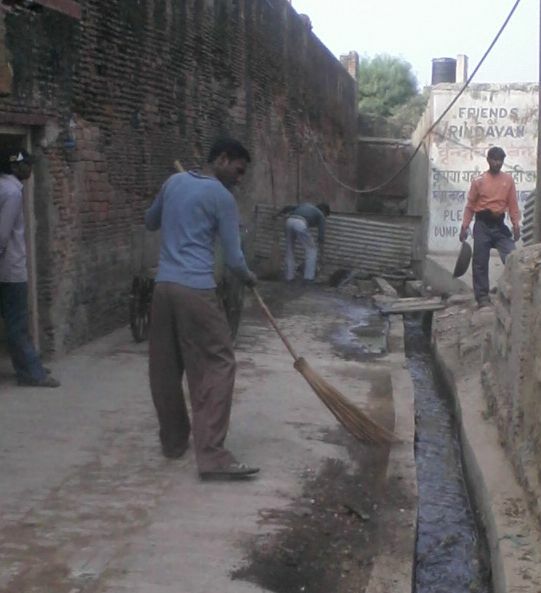 The massive cleaning of streets and drains was organised on the stretch in the locality of the Radha Raman Temple under the programme of the Vrindavan Cleaning Fund. The areas of Rao ji Ghera, Bhramar Ghat were also cleaned on Saturday. Loads of garbage has been cleared which was accumulated on the Bhramar Ghat drain and in the campus of Shri Radha Raman Temple. The cleaning operation will be extended to the Gokulananda Temple and then to the Keshi Ghat locality. There has not been any regular system in place by the municipality. This area has not been cleaned by the municipality for several months as it was claimed by the residents of the locality. The drains built under the development plan have made it more difficult to organise the cleanliness drive it in the smaller lanes. 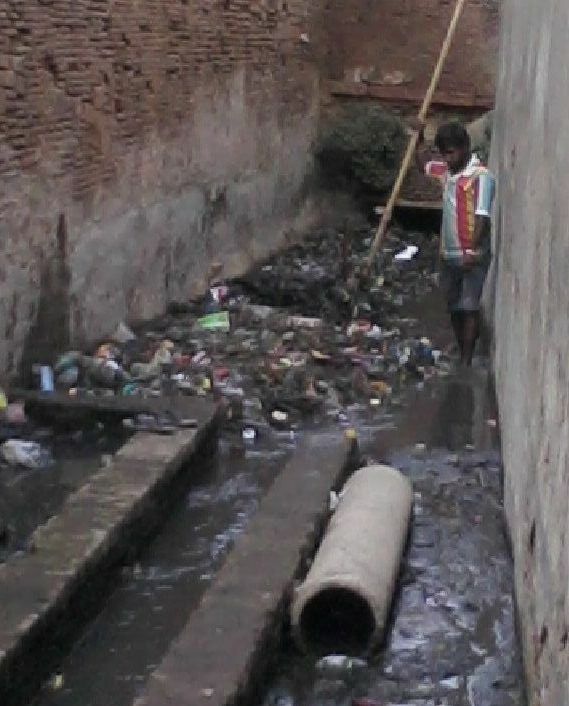 The breadth of these drains has become nearly one third of the total breadth of the road which makes it difficult to even move the handcart or the rickshaws. Some renovation work to cover the drains, fixing the broken pipe etc. will be done in one of the lanes near Shri Radha Raman Temple. The lane will be made a model lane with the support anticipated from the residents. If this project is successful VCF will initiate some small repairs of the drains where ever it implements its cleaning operation. A meeting with the households and the traditional safai-mitra to collect the garbage from each house will be organised soon after the renovation work is completed. It will be ensured that no one throws the garbage in the drain. Special attention on this locality will be given for next one month, so that some permanent solution of the garbage disposal comes out through dialogue between different stake holders.